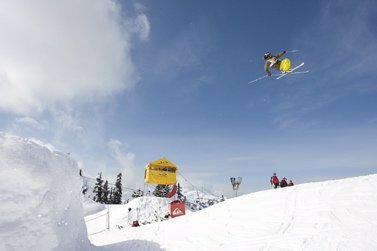 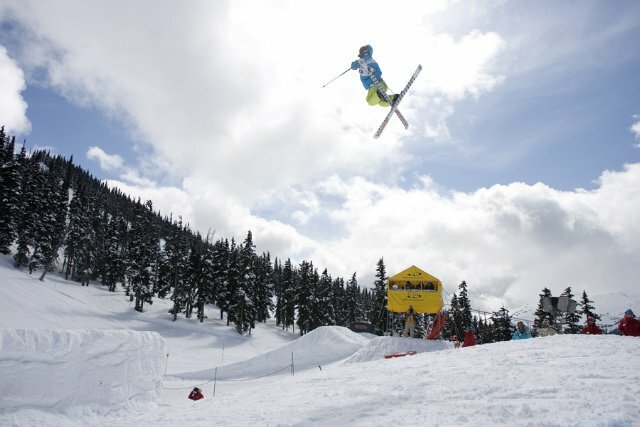 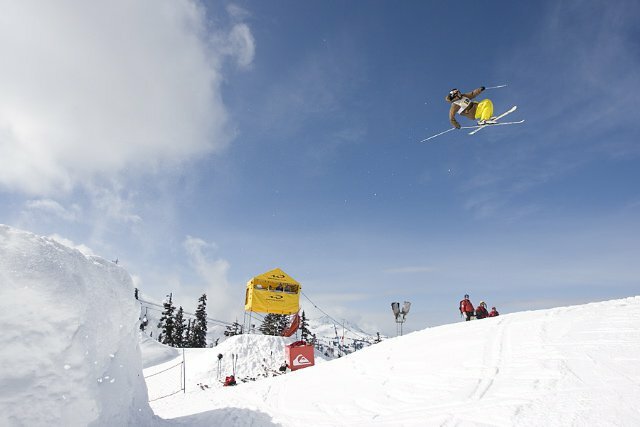 The first event for this year&rsquo;s Telus World Ski and Snowboard Festival kicked off in fine style today as the clouds drifted in and out of the Blackcomb high-level park.&nbsp; For the first time in a few years, the nighttime big air event has opened up to the masses with 10 spots up for grabs in the finals by way of a two-jump comp held on the step-over.&nbsp; The top ten guys from today and top two girls will go on to join the invited athletes; Mike Riddle, Colby West, Justin Dorey, JF Houle, Sarah Burke and Akiharu Yuzuka. 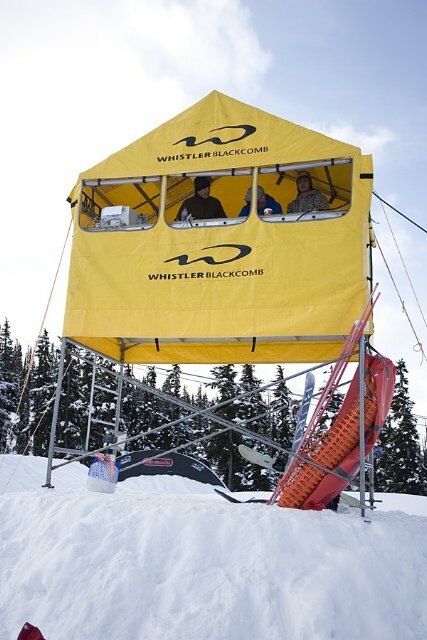 Since Sunday night, the Whistler Blackcomb groomers have been constructing what is certainly the biggest and most impressive jump I have ever seen for the festival and the 49 riders were fired up to grab a spot so that they could get a chance to hit it on Saturday night. 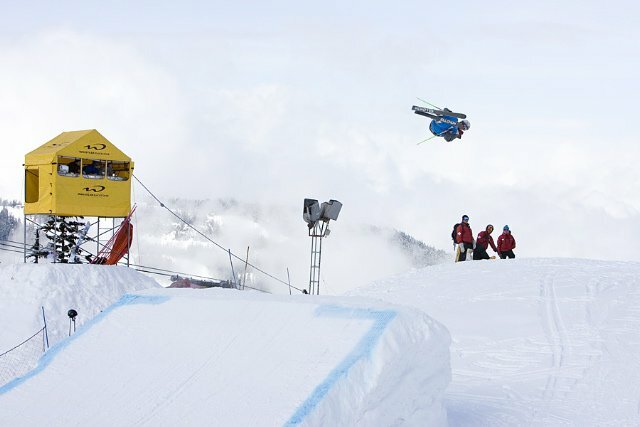 With such a large list of riders to get through the format was simple.&nbsp; Two warm ups, two judged jumps and best score counts.&nbsp; JF Cusson was on hand today to get the judging done. 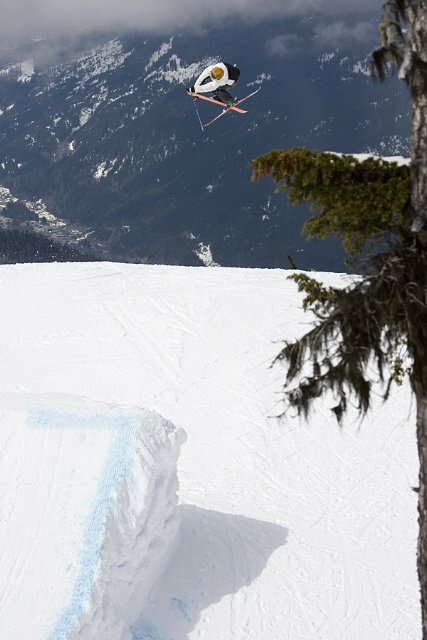 In the first heat it was Mike Clarke, fresh off the plane from JOSS in Sweden who really got things under way with his trademark cork 9 and 10 tails.&nbsp; He was followed closely by Norwegian Salomon rider Steffen Hamre and Ian Cosco with his sick right 10&rsquo;s.
The second heat saw a similar level of action with local Whistler rider Austin Ross pulling out his variation on the double cork 9 (flat 3 to cork 5). 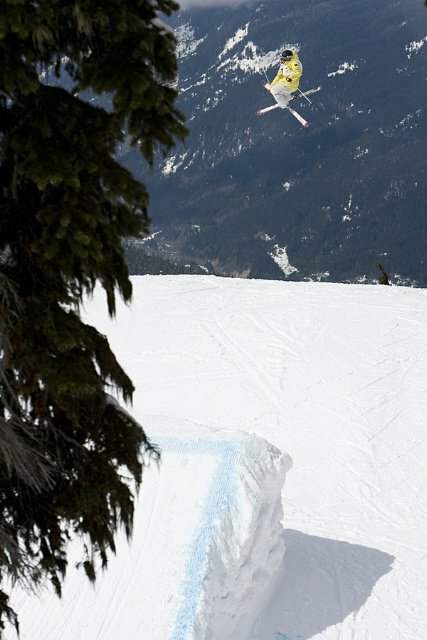 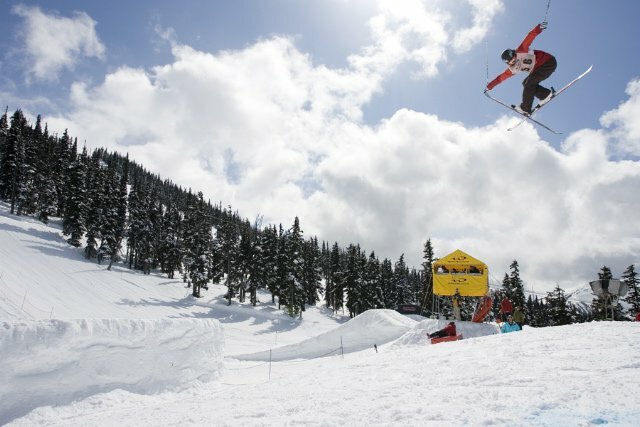 Japanese rider Shinji Osada taking things huge with his 10&rsquo;s, Mike Mertion was keeping things stylish with a super sick switch 7 double grab and Cam Schuster narrowly missed the cut with some great skiing too. 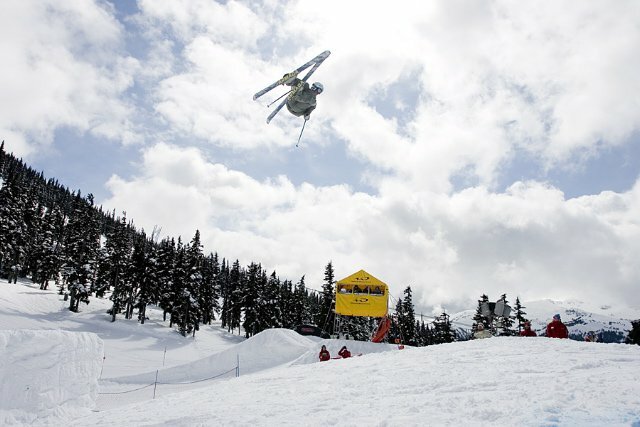 Onto the 3rd heat and the guys new what had to be done.&nbsp; Those of you who have skied the Blackcomb park in the last year will know that Chris Turpin is still a force to be reckoned with and he showed it quickly by throwing a textbook kangaroo flip and taking it deep down the landing to grab the highest score of the day.&nbsp; The girls were up too in this heat and top honors went to Ashley Battersby and Ros Groenewoud who will go head to head with Sarah Burke on Saturday night.